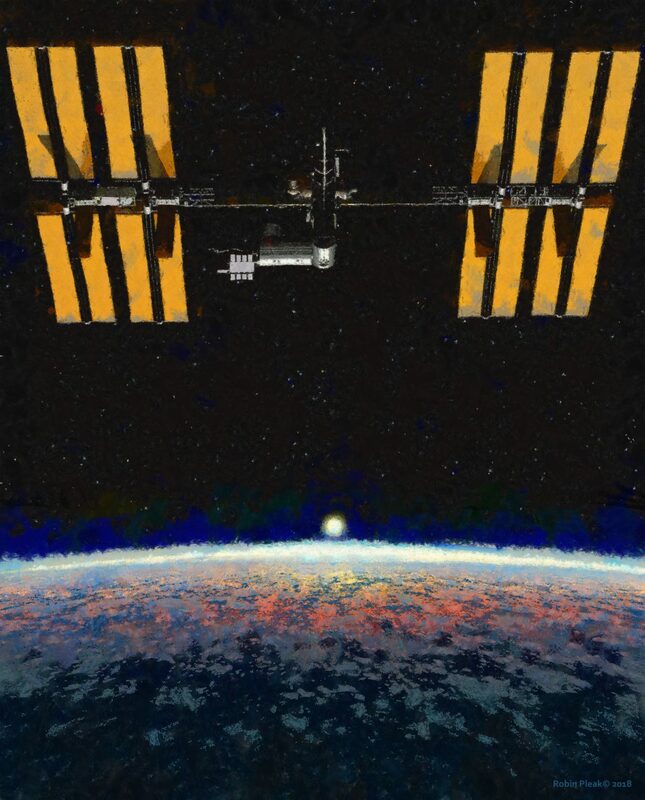 The International Space Station orbits the Earth approximately once every 90 minutes, allowing the crew to see 16 sunrises(and sunsets) every day, this is the subject of this painting, done in Photoshop and Corel Paint on a Wacom Cintiq tablet. I wanted to use a looser style this time, instead of going for realism, and it was a fun experience! This artwork is copyright © Robin Pleak. All rights reserved.